The Winning Poker Network (WPN) has already developed a reputation for innovative promotions, a high level of customer service and the fastest cashout service of any US-facing online poker network; and now it is set to enhance its service to clients by accepting Bitcoin as a means of depositing into real money online poker accounts maintained on its most popular skins – Americas Cardroom and Black Chip Poker. The process of depositing into any of the featured Winning Poker Network sites will be no different than when players deposit into their accounts using an online wallet, with the exception that there are no transaction fees to pay. Deposits will initially be limited to the Bitcoin equivalent of $1,000, and the network has yet to release details of whether it will be facilitating withdrawals via Bitcoin. Anybody who has been keeping an eye on the fortunes of the Bitcoin will be well aware that the dollar value of a Bitcoin can change considerably within just a few hours, and WPN has established a system that will protect players from losing money due to fluctuations in the value of the Bitcoin. Players using the Bitcoin deposit facility to pay funds into their real money online poker accounts will have the funds converted to dollars at the market rate, and then continue to buy into cash game tables or multi table poker tournaments using their dollar balances. Winning sessions and tournament cashes will be credited back to players´ accounts in dollars. It is expected that the availability of Bitcoin poker deposits will increase the number of players competing on the network and bring more money to the tables for, inasmuch as the existing “Bitcoin exclusive” poker sites have provided an acceptable service to poker players, the software available on the Winning Poker Network is substantially better. Furthermore, the sites on the network also host a variety of potentially lucrative promotions including a 100% match bonus on first deposits up to $1,000, the “Beast” progressive rake race, the “Sit & Crush” SnG progressive leaderboard competition and the popular “On Demand” tournaments. With the option of depositing by Bitcoin now available, these promotions will be open to many more players than before. 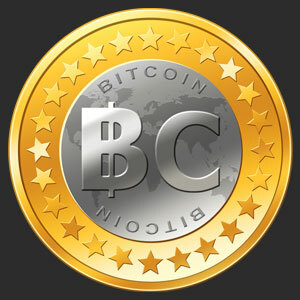 It is due to player-friendly options such as the facility to deposit by Bitcoin that the Winning Poker Network has established itself as the second largest poker network that accepts players from the US, and now Bitcoin poker players will be able to enjoy the benefits of playing on such a large network with greater diversity and more valuable tournaments than they have previously had access to.